The high-intensity blast caused the walls of the party office to partially collapse and cracks appeared in the walls of neighbouring houses as well. KOLKATA: The death toll in the West Midnapore Trinamool Congress party office blast has increased to two with a total of six people suffering injuries, the police said on Friday. Police said the explosion took place at a house used as the Trinamool's party office in West Midnapore district's Narayangarh area on Thursday morning when over a dozen party workers were present inside. "The explosion killed two persons and injured six others. However, the reason of the blast is yet to be ascertained," an officer from Narayangarh police station said, adding that they have found no proof of crude bombs being stored inside the party office yet. The local Trinamool Congress leadership confirmed that all those killed or wounded in the incident were their party workers and claimed that the party has appealed to the administration to find out and take strong action against those involved in the blast. "Two of our party activists, Sudipto Ghosh and Bimal Chowdhury, were killed in the blast on Thursday. Six others have been injured, out of whom two have been referred to Kolkata as their condition were critical," Ajit Maity, district president of the state ruling party said. "We have informed the party high command about the incident and trying to find out who might be responsible for the explosion. There is a chance that miscreants from outside are involved. We have appealed to the administration to catch and punish the offenders as soon as possible," he added. 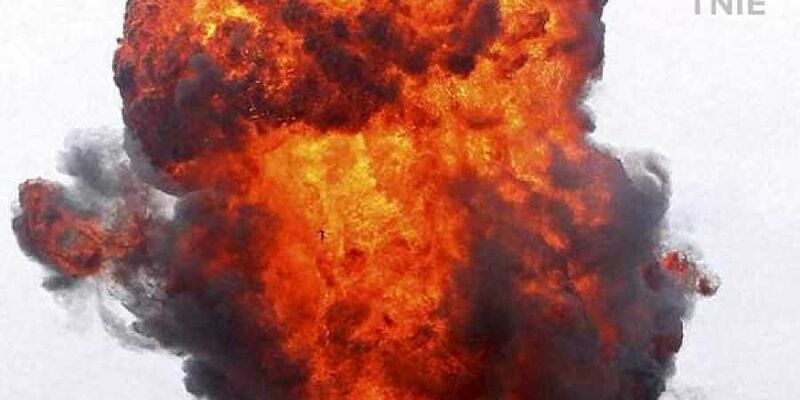 The incident of explosion at the Trinamool office took place less than a week before the party is going to form the boards in 11 out of 16-gram panchayat seats in the area.